And one cried unto another, and said, Holy, holy, holy, is the LORD of hosts: the whole earth is full of his glory.And the posts of the door moved at the voice of him that cried, and the house was filled with smoke. The first reaction is that of conviction of your own sin and realization of your inadequacy and utter inability to attain any iota of holiness compared to God’s Holiness. Woe to me! Woe to the man who depends on his own righteousness to appease God for you will be undone! Sin has corrupted man since the fall of Adam. The world has become a dangerous place since we lost Eden (a place where we communed with God and in our moral innocence and utter nakedness before him we were happy. Sin has instead brought shame and misery and an inability to attain any righteousness. The Bible says Holy Spirit alone can awaken (regenerate) any man to see their need to be clothed with righteousness from above and only God can draw a man to that point where they begin to seek him. At this they covered their ears and, yelling at the top of their voices, they all rushed at him,dragged him out of the city and began to stone him. If it were up to us to seek or turn to God none of us would even in a million years. No, not even the best of us would stir to wards him in a billion eons. But God is good and rich in mercy. God the father sent his perfect son Jesus Christ to be a propitiation for our sins. He appeased the wrath of God by being the sin offering to draw away the wrath and punishment for sin. He paid it in full and drunk the cup of the wrath of God and then said, ‘it is finished!’ He, the God-man died in my place as a cursed repulsive ‘thing’ on a cross so that God in turn clothes me (imputes me) with Christs’ eternal righteousness! He takes upon himself my shame, misery and sin and I am clothed with His righteousness – an alien righteousness! Jesus died for sinners, perverts and worms like me that by repentance of sin and faith in Him we can become the righteousness of God! This message of the cross is foolishness to those who are perishing (a stumbling block to Jews and foolishness to Gentiles) but to a few of us whose eyes have been opened by the grace of God it is the gospel – the power of God unto salvation. It gives us …. 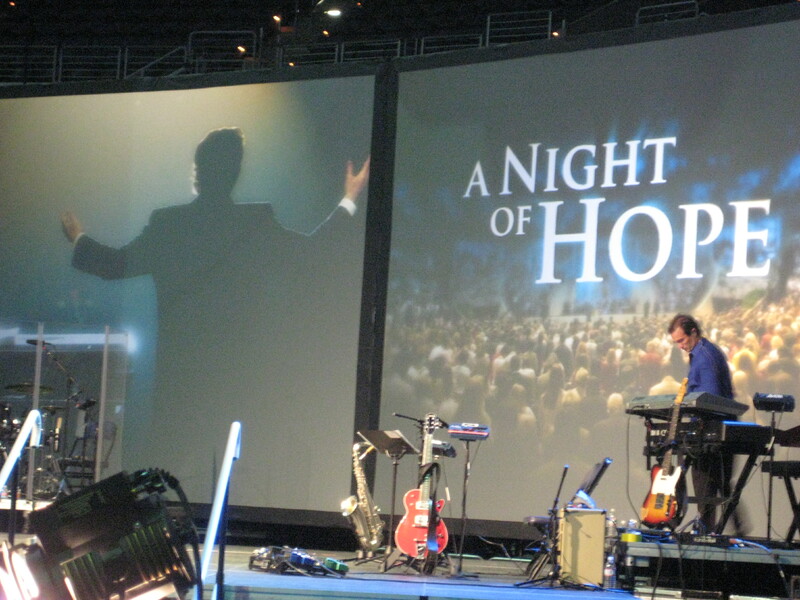 our night of hope! As we walk through this world, a place where we are constantly in the valley of the shadow of death, this message is the good news we need. Yes, indeed as the prophet Isaiah foresaw, the people living in darkness have seen a great light; on those living in the land of the shadow of death a light has dawned. Thank God for preachers who bring messages of Hope! Thank God for preachers who faithfully and clearly first show people their helpless sinful state before a Holy God! O How beautiful are the feet of those who bring the gospel; the message of Hope to a world dead in sin!